Most podcasts fail. It’s unfortunate, but true. That might psyche some potential showrunners out before they even start. But savvy showrunners will recognize an opportunity to learn from the mistakes of others. Obviously there are many possible mistakes can lead to podcasts failing. But there are some common ones that Jerod and Jon have seen over and over. And what’s encouraging is that many of these mistakes are avoidable — simply by knowing what they are, and knowing how to turn them into positives instead of negatives. 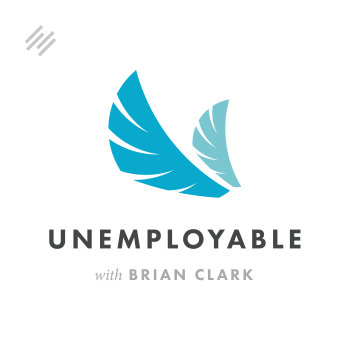 Why not having a unique selling proposition can lead to disaster for your podcast. 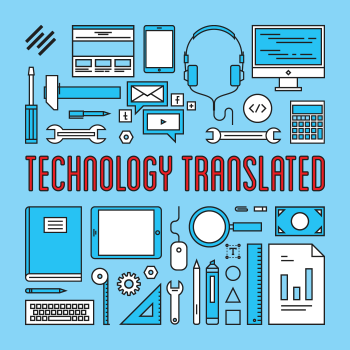 Listener question: What podcast formats are possible beyond interviews and host/co-host discussion? 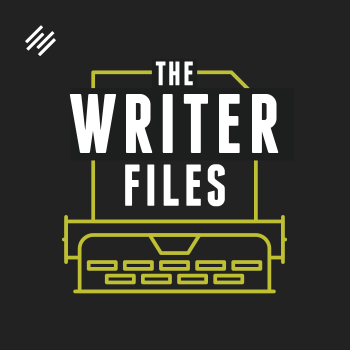 Jerod Morris: When you listen back to old episodes that you’ve done either when you’re editing them or just listening to them — especially interview episodes — do you ever have moments where you think, “Man, I should have asked the follow up question there.” Like you didn’t think about it in the moment, so you didn’t ask. But then you’re listening back to it, and it’s like, “Man, I missed an opportunity for a good follow-up question.” Does that ever happen to you? Jon Nastor: Yes. Many times, so I’ve stopped listening to them. Jerod Morris: I ask you this because it happened to me in our last episode, and I was editing it up last night. You said something and I realized there has to be this whole great story there. I don’t know why, but I didn’t ask you a follow-up question. You told us in the last episode about how your daughter started a podcast and how you helped her out with it. Every single time I’ve listened back to it, I found myself wanting a little more background, a little more backstory on that. How did that come about? What were the goals, and how did it all end up? Jon Nastor: We met Pat Flynn last year and John Lee Dumas, actually, at a small, small conference in the Philippines, and my daughter was with me. She started a blog on our trip. We were on a trip for I think just over two months. She started a blog. She was blogging. It got around the conference, so people started talking to her about her blog and these funny stories she was writing. 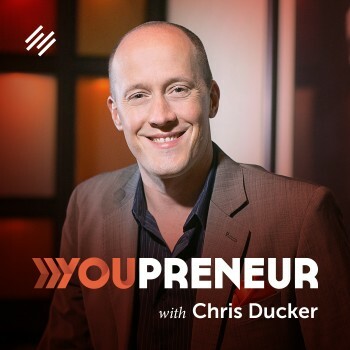 John Lee Dumas started talking to her, “You should really podcast. You should podcast.” I had never even thought of that. Then Pat came over at one point, we were eating lunch, and he came over and sat with us, and he’s like, “Sadie, if you really want to start a podcast, tell your dad. He’ll email me when you get home, and I will buy you all the gear to get you going” — which is amazing, right? Jerod Morris: That’s awesome. Yeah. Jon Nastor: I know. That’s what I said. So he did, and this is actually the gear I’m talking through. We got home then a couple of months later and she worked out what she wanted, the branding of it, and we went through the whole process right from the beginning. We named it. We came up with a really awesome format that she could come up with. She did a weekly show. She did 16 episodes, I believe. I think she’s already broke 10,000 downloads — which is amazing. Jon Nastor: Yeah. She hasn’t actually done it now in two months it’s been. She stopped. She kind of ran out of what she wanted to do with that show, but she still gets around 1,500 downloads a month from it, which is amazing. She’s already working on another show. That show is called Between Two Worlds, and she was nine years old when she did it. She reads voraciously, so she did it about a book. She tore apart a book quickly and made it fun for kids, and then she did this format of ‘The Joke Store,’ and it was so adorable. I did editing for it myself, and there are all these sound effects. Actually, there was this band we saw. We drove to Chicago last year to see this band called Koo Koo Kanga Roo, who my daughter fell in love with. She actually just emailed them and was like, “I’m starting this podcast, and I would love to be able to use some of your music.” They got back to her. We jumped on Skype. She told them all about it, and they actually wrote her all these different songs. They sent us eight different tiny little snippet tracks. She talked about The Joke Store and all the different transitions she was going to do, and they did all of it for her. It was amazing. Jerod Morris: Wow. That’s really cool. That’s even better than I imagined that it was going to be. Jon Nastor: It’s amazing. It blew me away the whole time. It was amazing. I can never thank Pat enough for doing that for her and then for me, obviously, and helping. Just the way she did it. She followed the steps, and it worked super well for her. She was kind of blown away by it and really daunted, obviously. She was looking at first when there were like 10 people downloading it and 15. She was cool with that, but then it was like, “Wow, you did 300 downloads today,” and she stopped looking, like she didn’t want to. She still gets emails from young kids and stuff. It’s adorable. Jerod Morris: What a great story. We might have to have her on here for an interview and get the full story from her. Jon Nastor: She’d love it. Jerod Morris: Wow. That is great. Good. I’m glad I asked you that then. That’s really cool. Jon Nastor: Me too, actually. I love this story. It makes me happy. Jerod Morris: Yeah. What a great, great story. There will be more. There will be more to this story. That’s great. Let’s move on to the topic of this episode … which is why most podcasts never go anywhere. Obviously, a big part of what we’re trying to do here with The Showrunner is teach you how to run an effective podcast, whether you already have one, whether you’re getting ready to start one. The reality is that a lot of podcasts don’t go anywhere. They get started. They stop. We want to talk about some common reasons why that happens. In your mind, Jon, what are the biggest reasons why a podcast doesn’t go anywhere? Jon Nastor: The biggest reasons? I would say that there’s the four big reasons that I see, and I’ve just seen hundreds of people that are trying to do it. The first one would be no USP, then just lacking of voice, failing to launch, neglecting what ‘New and Noteworthy’ can do for you in iTunes, and then being inconsistent, which I have mentioned before. Jerod Morris: Which is really five, and those first two kind of go together. Let’s break those down. Let’s start with no USP. That’s very similar to what we talked about in the last episode. Break down the importance of that and why not having one can lead to disaster for your podcast. Jon Nastor: First off, I like how casually you said that’s actually five, because I have on the list one, two, two, three, four. That was a good cover up. I like that. No USP. This is entering a market, whatever your market happens to be, and go to the big market. Don’t ditch down too far at this point. Go to the bigger market. Voraciously listen to and consume the top 10 podcasts in that market. There’s always giant gaps either between personalities of hosts, style of podcast, format of podcast, what it is they’re doing, and where they fit into that market. I don’t care what market you’re in. There’s gaps in that market. You need to uniquely fit into one of those gaps. If you cannot do that, all the rest of steps that we give you are not going to help you at all. It doesn’t matter how well you launch. If you don’t have that unique positioning in the market, I don’t think you will succeed. Jerod Morris: Why not? Because you will blend in and you won’t stand out. There won’t be any reason for people to take notice of you. As more and more podcasts come out — like we explained on the last episode — it will continue to be a bigger and bigger problem of having some hook to get people just to listen. You’re right. If you don’t have that, then none of the rest of what we’re going to talk about matters. That’s how we wanted to bring this part back up again. Let’s go on to number two then, which originally we had these together, but I think it’s important that we unpack them to talk about each one of them individually. It’s pretty obvious why your podcast can’t be boring. 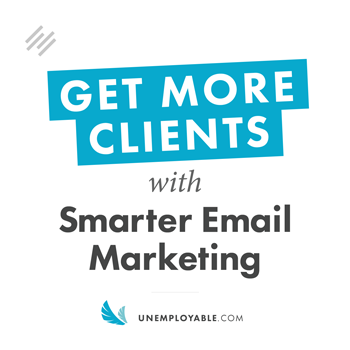 Just because you have a USP doesn’t mean your podcast won’t be boring. We have tried to have our USP here with The Showrunner, but if we’re boring and if we’re not that interested in the topic, the show’s going to be boring, which also goes along with hosts really finding their voice and having unique voice. Explain the importance of that. Jon Nastor: I think to not be boring is not so much making jokes and all that. It’s mostly about just being real, being congruent with yourself, and exposing a different part of yourself to people in a way that’s real. Obviously, when we say finding your voice, finding your voice isn’t positioning of a microphone. It’s not that sort of thing. It’s really just being and talking about things that you are truly, really into. Don’t go into a market because you think there’s lots of money in it if you’re not into that market. There’s lots of money in golfing, but I couldn’t just go in and pretend to be passionate or even know anything about golf, so it’s not going to work. You have to find that. You have to know that. You have to be willing to open up and say some stuff and talk about your stuff, you in certain ways. That’s, to me, what finding your unique voice is. That’s what resonates. You’re in people’s ears either in ear buds or in their car. It’s a very intimate relationship. If you’re just putting on some fake idea of yourself — this goes back to because you’re trying to be like somebody else in the market — then it’s going to show. Instantly people aren’t going to be able to engage with you on any real level. Jerod Morris: Yeah. The connection that is possible through a podcast is why podcasts are so exciting, why you and I get so enthusiastic about them. This idea, it’s about being authentic. People want you. That’s why they listen. If you’re not yourself and if you don’t reveal — again, authenticity is not revealing everything about yourself. It’s about revealing the parts of yourself that are relevant to an audience. Obviously, the things that I reveal here on The Showrunner are going to be different from what I would reveal if I was doing a podcast about relationships. My relationship isn’t that pertinent to here, but what I’ve done as a podcaster, my history, my experiences, the things I’m confident about, and my insecurities — all of those things are relevant here. That authenticity is very important. Again, the idea here is why podcasts don’t go anywhere. I think if you’re just good behind a microphone, you could probably pick out any topic, and for five or six episodes, fool people and talk about something on a surface level and get away with it. But to go somewhere, to build a relationship, and build a podcast that has a loyal audience for 10, 20, 50, 100 episodes, there’s got to be a depth there. It’s not just a depth of understanding, but a depth of authenticity to how you bring the information to your audience that’s so, so important. Because number one, it will keep you motivated. Number two, it will keep your audience listening. Then those two things just feed on each other. That’s what helps your podcast actually go somewhere instead of not going anywhere. One and two done. Now let’s talk about failing to launch, which is interesting, because I think when I first read this on your notes, ‘failing to launch,’ it’s like we’re talking about why podcasts don’t go anywhere. The podcast has clearly started, but you’re not just talking about getting episodes out there. You’re talking about actually having a strategic plan for it to succeed, right? Jon Nastor: Yeah. The key part of it is for it to succeed. I think most people think about launching as getting that approval message from iTunes that you’re now available to millions of people — who might never find out about you. There’s a lot more to it. The way I have it is there’s a 12-step plan to it, that I can’t go through here before we’re trying to keep this under 30 minutes. It’s very essential. It’s a lead up to actually getting onto iTunes, and then it follows through to that first eight weeks, which is very, very, very important. The one thing I do want to mention even if you don’t want to follow a 12-step plan to launch, the one key thing that I see people making the biggest mistake of — which we did with Showrunner for various reasons — but we failed to launch with three shows on day one. Every time I see somebody do that, people with big audiences already and people with no audiences, I’m always thinking to myself, “I’m going to be shocked if this show really takes off the way it should.” Because launching with three shows, I’ve talked to so many people, I’ve done so much research in it, and I’ve tried it myself with different amounts of shows. 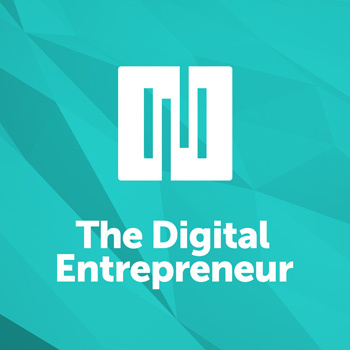 The one show I’ve launched with three episodes on day one was Hack the Entrepreneur, and it’s gotten me here. That is something that’s very, very key. Before you launch, make sure you have at least 10 episodes done. I had 22 done, in the can completely done. I had almost 10 interviews still that I could have edited into shows if I’d needed to. Day one was three, and then I didn’t even follow a schedule right after that. I just started throwing out … like I told you earlier, I did six episodes one week during that first eight weeks just because the momentum really builds in iTunes. It’s very based on how many downloads you can get. They’re checking. Their algorithms are checking how many people are downloading how many episodes. It just makes sense that if on day one, people find you, and they can download three episodes as compared to just one episode that week. That’s three times as many downloads, which the algorithm sees as three times as good. Therefore, they push you way up to the top. That’s how you totally kill it in iTunes. Jerod Morris: You got 22 episodes done before you put out your first three? Jon Nastor: Yeah. I recorded my first episode, it was the third week of July, and I launched September 5th. All I did was record the episodes, because I had 10 episodes at that point that I was not going to use because I hadn’t really figured out my questioning yet. I had 22 done and edited, and I had just over 10 other interviews already done. I was going for it, man. I was like, “I’m going to do this, and I’m going to do it right. I’m going to see if this works the way I think it did,” and the rest, as they say, is history. Jerod Morris: Now here’s my fear with that. My fear would be you get all these episodes done before you launch, and you don’t necessarily get the audience feedback — maybe after the first three episodes — that you could then go back and use to inform the other episodes. Jon Nastor: Smart. My process started back with Pat Flynn back in March. That was my whole thinking. Then I devoured business and entrepreneurial interview podcasts like you wouldn’t believe. Then in early July, I literally stopped listening to them until January of this year. I did not listen to another podcast. It didn’t matter to me. I knew where I needed to fit into the market, and I created a podcast that fit in, that was completely the show that I wanted, and I knew would fit into this market. I boldly went with what I thought worked. When I say that 10 episodes that didn’t get released, because I did have eight people that I really trust, that know podcasts, that listen to podcasts, and are into these types of podcast, and I gave them out to them. I got feedback on questions I was asking, how it was being done — because I’d never interviewed anybody in my life at this point, ever. It was all just flying. Then from there, I felt like I had a solid base of questions. I knew I wanted it tight formatted. I knew I wanted to have that hack that came later after those 10 episodes. I literally just put my head down, and I didn’t care about feedback that soon. If it’s too soon, everybody’s going to give you all different ideas once you put it out there. I just had to stick to what I really felt I had planned out and made to work. I was confident that it would work if I just kept pushing it and pushing it and pushing it in that way. And it did. It totally, totally worked. There’s obviously the person here and there like, “Oh, you should make them twice as long. You don’t talk enough. There’s not enough banter. It’s like, “Really? That’s not what I’m trying to do, but I appreciate your feedback. But I’m going to all of a sudden make this show an hour long,” you know what I mean? Jon Nastor: That’s why I say you have to really devour the content of the market you’re trying to enter, and see what’s there, and see what you do. Then you’re educated. If you are not educated making that decision, then yeah, you have to be wishy washy and not sure. You kind of need to listen to too many people. It’s like anything. I said to myself, and I’ve said this before on the show, that I was giving it three months. At three months, depending on where it was, I was going to redirect it or change it and take all the feedback then and wrap it into a new plan. But I wasn’t going to change until then, because I thought it was too soon, and I think it is for some people. They don’t give it enough time to get traction. To me, myself, you listen to my first episodes to some of the later ones, I’ve really, myself, I sorted it out. Even though I stuck to the same format, I was more confident in it, and I could figure it out. That took time. Does that make sense? I don’t know. Jerod Morris: No. Great answer. Again, I’m glad I asked that question. Jon Nastor: Yeah, me too. Me too. I think it’s essential. Jerod Morris: You mentioned launching with the three-show minimum, and obviously, we didn’t do that with Showrunner. 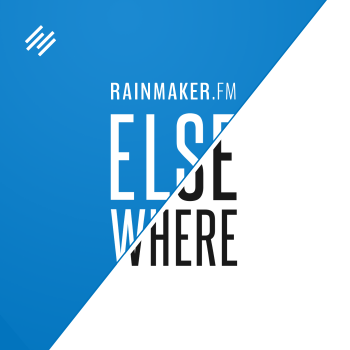 Now when we launched Rainmaker.FM, we were very careful to do that with all of the new shows that we had. Make sure that there are three episodes that go out, for the very reason that you mentioned. With Showrunner, there were a few different circumstances and developing in concert with this course and everything to where we didn’t do that — plus, really wanting to be transparent with the show as it’s developed, really kind of let you peek in. We’ll see. There’s a chance that Showrunner may not do as well over these first eight weeks as it could have if we had done that. We both recognize that, but just want to explain why, in that sense, we didn’t necessarily do exactly what we’re coaching everybody to do. But it’s definitely the proven smarter formula for how to do it. The reason why is because of that ‘New and Noteworthy’ in iTunes. You’ve talked a little bit about the importance of that. Let’s talk a little more about New and Noteworthy, why you don’t want to neglect it, and specifically the importance of SEO for the iTunes search. Jon Nastor: Sure. ‘New and Noteworthy,’ just in case you don’t know, is from the day your podcast is launched in iTunes, they give you eight weeks. When you go to iTunes on your computer, all the stuff at the very top is New and Noteworthy. Those shows were launched within the past eight weeks. You get, obviously, an amazing amount of exposure to millions people. If you can move your way up to that top, then you can get exposed. That’s where you build audience. That’s when you don’t have an audience, and you come from nobody knowing you to 50 or 60 or 70 or 100,000 people downloading you, because they all come through there. Please do not underestimate this. 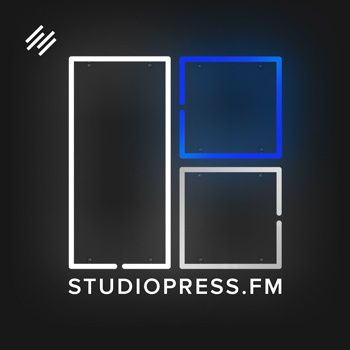 Jon Nastor: iTunes SEO is descriptions, show names, and your art work at the same time. You’ll notice, if you out of New and Noteworthy now, and go down to the top 10 shows in your market. Go through them all, and read their descriptions. Most of them will be very robust and will be full of search engine optimization. iTunes, whether you want to believe it or not, is just a massive search engine. It’s a bigger search engine than Google for podcasts. iTunes is the biggest search engine for podcasts in the world. If you don’t treat it that way, I think you’re missing out massively. That little bar or place to input in the top right corner of iTunes is the search place where people type in words for things of interest. When they discover podcasts, and then they’re like, “Whoa! I didn’t even know what these are.” They type in ‘marketing’ or ‘online marketing’ in the top 10, Hack the Entrepreneur now comes up because I’ve optimized it. Those people now discover me. People discovering you in iTunes is what moves you up the rankings, is what gets you downloads, and it’s what builds you this audience. It’s kind of a complicated process. There’s a lot to the SEO of iTunes, but please, you can look it up. There’s ways to make sure to optimize that. Don’t neglect it because it’s a massive, massive opportunity. Jerod Morris: Yeah. I learned this with The Assembly Call, my IU postgame show. Originally, the title in iTunes was The Assembly Call, which of course doesn’t say anything about Indiana basketball, and I would search — just to see where it came up — I’d search for ‘Indiana basketball’ in iTunes and nothing’s coming up. I’m thinking, “Well, there aren’t that many shows about Indiana basketball. it should at least come up somewhere.” Just making a title change to the Assembly Call IU Postgame Show and Podcast, now it started coming up. In a lot of ways, it’s not that complicated to do. It’s just something that you want to be cognizant of and think about so that you can take full advantage. Then, I know you also had a tip that you wanted to give about rating and reviews also. 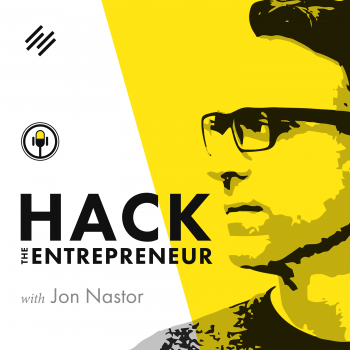 Jon Nastor: Ratings and reviews are the most important thing to getting you rankings early on in New and Noteworthy and getting you pushed up iTunes. I don’t like seeing people neglect that. What is it, the president? When it’s election time, he goes first, and he votes for himself. You’re allowed to do that. Please, I don’t want to see your show launch and you not even take the time to go leave yourself a rating and review, because you’re later on going to be asking your audience to do this. If you’re not even willing to do it for your own show, then come on. Me, I knew the absolute power of it, and people neglect it. You only have eight weeks, so you have to push this literally from day one. You can create a list of people that you know with iPhones or with iTunes account, which most of us have at this point, and get those people. Have an email you can send to them, or literally go to their house. If your mom has an iPhone, seriously, pick up your mom’s iPhone, go to iTunes, look for your show, and put in a rating and review. It doesn’t matter really so much what the review says. That’s not the point. It’s not that people will read your reviews. It’s an algorithmic-based thing in iTunes. The more of these reviews and ratings happening on your show during those eight weeks, the more you get pushed up and noticed in New and Noteworthy. I used to sit, like go out for drinks with friends, and every phone of every person sitting on the table I would grab and leave a rating or review. Then they see you doing it, and then they’re like, “I’ll do that. You’ve been asking me.” Then they will. They’ll do it. You’ll watch them, and they’ll put in a real rating and review of your show. Those things help. They help so much. I can’t emphasize it enough. Screw all that being humble and holding that stuff back. Just go for it. Ask for ratings and reviews from everybody you know. Then on your show, make that call to action at the end for all of your listeners to please, please take two minutes to leave you a rating and a review, because it works. Jerod Morris: So just as a public service, if you don’t want Jon breaking into your house and taking your phone and leaving a review, I’ll just ask. If you’ve enjoyed what you’ve heard here on the Showrunner so far, we would definitely love for you to leave us a rating or review. Obviously, we’re still in that New and Noteworthy time period, so it would help. I think, Jon, you make a really good point. Ideally, of course, you have a show that has a great USP, where you have an authentic voice, and you’re doing a lot of these things right. You have your iTunes SEO in place so that people who are looking for a podcast about your topic are finding it. You’re giving good value, and they’re leaving ratings. They want to leave a rating or review. Sometimes you just have to remind people. 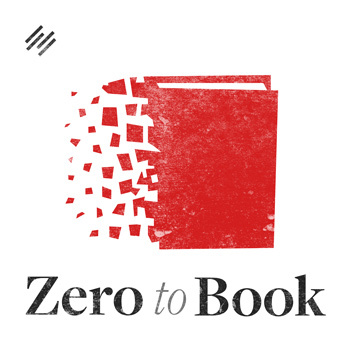 Sometimes people don’t think, “Oh, I can go leave a rating or review.” That has happened to me so many times where I like a show — and I podcast and I ask people for ratings or reviews — and sometimes I forget to leave them on podcast I like. I’ll be listening and someone will say, “Hey, will you leave a rating or review?” And I’ll go do it right then. A lot of times it’s just reminding people who already want to rate you and review you to go do it. Just giving them that little nudge. Again, if you don’t want to be sitting at dinner and then look for your phone and it’s not there, and then this guy in a hoodie is over there putting a rating or review in, then just go to the Showrunner page and leave us a rating or review. Jon Nastor: But they’re so important. Jerod Morris: And Jon will leave your phone alone. I promise. Let’s go to the last one. We’ve talked about having unique selling proposition, and being authentic, and making sure that you launch properly. Then, of course, paying attention to New and Noteworthy. Now the last one, which is consistency. You’ve got to be consistent. When you’re not, that can lead to a lot of failure for podcasts. Jon Nastor: Yes. This is, I think, just not realizing how much work it’s going to be. New and Noteworthy is always fun. It’s always exciting because whether you make it to the top or not, you still do get more exposure than you do afterwards, so you get more downloads. People can usually push through that first eight weeks. Then, as Seth Godin says, “You hit the dip.” Every single person hits the dip, and the dip is hard. Trust me. The dip went on for two and a half months for me, and it was hard. You go from number 10 in your category to number 200. It has nothing to do with anyone, except you have to work through that dip because on the other side of it, it’s amazing things. That’s where most people don’t get to. They stop within that three to four-month period, and shows just fade away. Go through iTunes and look at people’s list of shows released, and you’ll see that first eight weeks, “Wow, all these shows,” and then, “Whoa, they kind of stopped.” You just can’t. You got to push through, but expect that dip. It’s coming after New and Noteworthy, but there’s ways to still ensure some growth after and to make it so it’s bearable. Know that it’s coming. Be consistent the way you say you’re going to be consistent because it’s imperative to do that for your audience. Jerod Morris: One note that I have on this is most people who have podcasted have some podcast in their past that fell victim to the dip. If you search my name in iTunes, you’ll find some that they were out there for a few episodes — or even 10, 15, 20 episodes — and they stop. I know that there had been times that’s happened, and then I thought, “Well, maybe I’m just not cut out of podcasting,” but that’s not true. Just because you choose an idea and you go at it and it doesn’t quite work, that just means that you and that idea and that audience weren’t the right fit at that time. It doesn’t mean that you couldn’t re-launch that podcast and get it going. It doesn’t mean that you couldn’t find a new idea and get it going, but it’s important. That’s what you’re looking for. That’s kind of that Holy Grail is to get that combination of a topic and an audience that you are passionate enough about that, when you get to that dip, that you move through it. If you faltered a little bit on the past, it’s OK. Get back up. Try it again because, chances are, you’ll be much better prepared for the next time. Jon, we led off the episode talking about your daughter. I think you said she had 16 episodes, and it kind of stopped. Certainly, that shouldn’t discourage her. That’s her first time with the podcast. She faced what a lot of us faced, and who knows, maybe she’ll pick that up again. Maybe she’ll start something else. She’s actually a good example. That podcast went somewhere. Now if it doesn’t go anywhere else, I suppose you could look at it as a failure, but it was a great learning tool for her. Hopefully, it’ll put her in a better position in the future. But it does illustrate that that will happen with podcast. The ones that really have that consistency, understand the workload necessary, and when they get to that dip, they find a way to power through it. 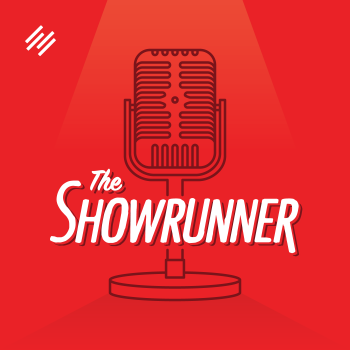 Jerod Morris: Normally, now, because we are done with this topic, we would end, but we actually have a special bonus section of this latest episode of The Showrunner, that if people like, we’ll continue doing. We’ll get to that in just one second. Before we do that, I do just want to make note real quick of something with the course. 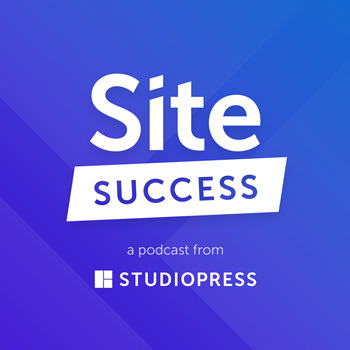 We’ve alluded to the course in this episode, for instance, your 12-step launch plan, which we talked about one of those elements — launching with at three-show minimum. That entire plan will be inside of The Showrunner podcasting course. 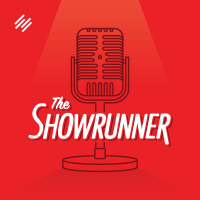 I just want to let people know that the way to find out information and to get in on the pilot program for the Showrunner podcasting course is to go to Showrunner.FM, and there’s a form right there where you can enter your email address. When we launch, we are going to launch to the wait list only. There will be a special price. It’ll be a one-time price. It’ll be as low as it ever is going to be, and it will go out just to the wait list. Then anybody who gets in on the course at that time, it’s a one-time price, and then all of the future updates that are to come, you will get them. Especially those people who are in early, Jon, like we were talking about before the show started, we’re going to be doing some webinars and some Q&As where you get access to us. You don’t just have to ask general questions. You can ask specific questions about your show. We’ll help you. We’re going to do be doing that early on. There’s definitely incentive to hop on that early on. You do that by going to Showrunner.FM and getting on that wait list. 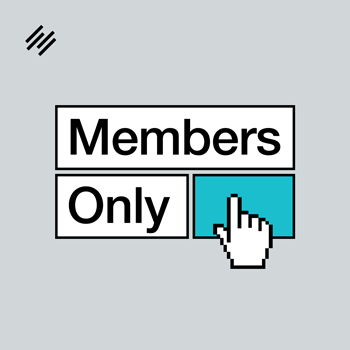 Once you’re on there, we will be able to send you updates and keep you apprised of when the course will be coming out and when it is time to get on it. A few thoughts about the course, and now let’s end with a listener question. If this goes well and if people like it, then we will start taking a listener question every week, and you can ask us questions. You can shoot them to us on Twitter, Showrunner.FM. You can send them to us on Twitter also, @JerodMorris and @JonNastor as well. The answer is most definitely yes. In fact, you may see this as a topic for an entire episode because we could really go into this. There are a lot of different formats that you can use. 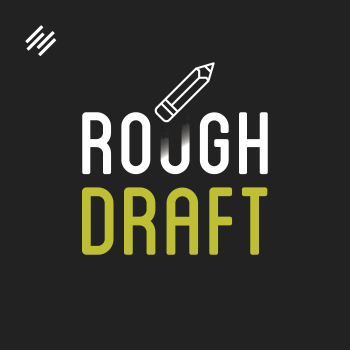 For example, Demian Farnworth, who does Rough Draft for Rainmaker.FM, he has a monologue. It’s a daily monologue where it’s just him talking. You can do a curated Q&A. 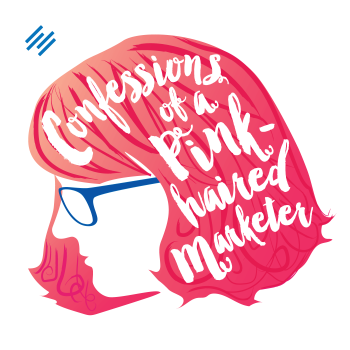 Pamela Wilson, who runs Hit Publish for Rainmaker.FM, she sends out one question to three or four different people in the company, and then gets them to record an answer, and then curates those together into an episode. She’ll ask, “What’s your number one SEO tip?” And four different people answer — she’ll put it all together into one episode. You also have a live event round table to a podcast like the Assembly Call, which we’ve talked about. Then the idea is just to get creative. You can do a game show style podcast. You can read posts. Robert Bruce is going be coming out with a new show on Rainmaker.FM called Allegorical, where these old, allegory-type posts that he did on Copyblogger, he’s going to just read them. 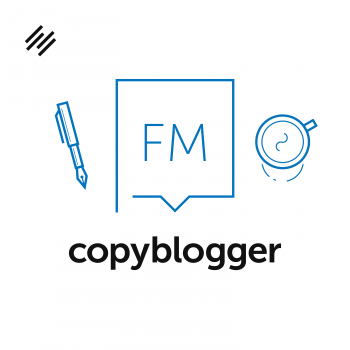 Maybe people missed reading those posts on Copyblogger, and now they get a chance to listen to them as a podcast. He also does unusually short stories, which if you’ve never listened to, I highly recommend that you go check out, because those are great. Those are just some off the top of my head. What other ones do you have? Some other formats for Chris, Jon? Jon Nastor: The two I have that I really, really enjoy are Ask Pat, which is very simple Q&A. He takes questions via audio, and he answers one question per show, which is probably really good for answers to questions of your audience. Plus it posts it to your blog with those exact questions, which is probably good for SEO. I’m not an SEO guy, but I would imagine a consistent daily show going out like that would be. Another show of a listener of mine, actually, he asked me lots of questions leading up his show going out. It’s called Really Good Reads by a guy named Sam. He just takes blog posts or he did my emails, I think, in his second episode. He took two of my emails, and he reads them out and then gives his two cents on it. That’s his whole show. He gets me to promote it. He did one for, Sonia Simone I think was on his show yesterday and he did a Copyblogger post. To me, that’s being super creative. It’s him by himself. He’s really good at production, so he makes it sound awesome. It’s just him reading other people’s content that they’ve created. It’s really being creative and thinking of so many different ways. While you’re watching TV shows, think of things you could put into podcasting. It’s all that. Any time you listen to radio or other shows, think of things you can meld together. As these things come out, it always seems so obvious after like, “Oh yeah, of course. Read other people’s stuff. That makes sense” I’m sure so many shows will follow this now, but you really just have to be creative at this point. You can come up with. There is infinite amounts of shows that can come out. Jerod Morris: Yeah. Being creative, putting yourself out there in that way, doing something new, can be a little bit scary, but it can also have huge, huge rewards. Feel empowered to put something new out there. Again, you can ask us questions on Twitter. Also, if you want to leave a question as a review on iTunes, we will give special treatment, priority to those questions. You can also leave them as a comment on any Showrunner post. Those are the ways to keep in touch. If you like this, we’ll keep doing it. Jon Nastor: Yeah, excellent. If you can leave a question on iTunes or even a review on iTunes, drop your Twitter name in there, your handle, the @, because otherwise we have no way of knowing who you actually are. iTunes doesn’t let us. They just show us your iTunes name. 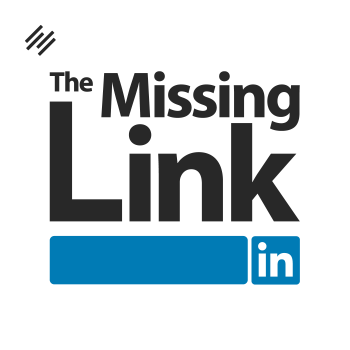 We have no way to access you, but we’d love to reach out and thank you. Jerod Morris: Yup. Absolutely. All right, Jon, it’s been fun again. We will talk next Wednesday. I hope you have a good rest of your week, and I hope everybody out there listening does as well. Jerod Morris: Yep, you too. Great podcast guys! I’m learning a lot about what it takes to start my own podcast. But, I have a question. During the podcast, you said that one of the things people should do before launch is have 10 episodes in the can ready to go which I believe is a very smart idea. However, I plan on starting a podcast that is focused on Tv recaps and news in the areas of TV, Movies, and video games. It would be hard for me to have 10 episodes ready to go because the news will have been old by the time I release it. Do you have any suggestions for someone doing a more news centered podcast? Rashad, this is a really good question. I do a similar show with the Assembly Call, which is based on a live event. I still think you can launch with several episodes recorded, even published. If it is for an upcoming season or show, and you want to start posting new episodes as the new episodes of the show are released, you can recap the previous season, look ahead to the current season, do a general show talking characters, etc. Basically — do some non-event content to seed your show. If it is not that timely, then you can simply get a bunch of movie or game reviews ready to go, and then launch all at once. Even if these are 2-3 weeks old, they won’t be completely irrelevant yet, but it will help you get the show started off on the right foot. And you can also just launch with one show on the first day. 🙂 What I’ve described above is the best case scenario, but make sure it also is what works the best for you. Sorry, guys, but I have to correct you on a couple things. It’s a myth that you have only your first 8 weeks to get into iTunes New & Noteworthy (N&N). That section is two lists: podcasts that are new and podcasts that are noteworthy. Yes, you’re only considered new for about a couple months. But you can be noteworthy at any time and be relisted in N&N. Also, descriptions don’t matter for findability in iTunes (SEO). I made a whole SEO for Podcasters course that corrects a lot of these myths and shows how to truly optimize for iTunes search and findability. Good point on N&N. You definitely can be listed after eight weeks in New & Noteworthy (and just a cursory glance at the shows in N&N at any given time will prove this). However, it does seem to skew more to shows in that first 8-10 week time period, so there is still ample reason to try to maximize that initial time period, which you can’t ever get back. Hi – I love the podcast and it’s motivating me to get going with my idea again. One issue I found when first looking was that my topic isn’t clearly labelled on itunes (I’m looking at home design & decor). This makes it hard to find my competition (so I think there is a clear gap) and also to think where to put my podcast. Would it make it easier to keep with something more unique or try to structure the content to include something that would roll into an existing category? (e.g. by adding gardens or kids). Philippa, I agree that there is not an immediately obvious category for your show, but there are several that should work just fine. Going with Arts — Design would be my first choice, but even Kids/Family could work, as well as a couple other subcategories in Arts. Ultimately, I don’t think it will be a hindrance, but you certainly could structure the content differently. Just don’t spread yourself too thin, and don’t add topics you aren’t truly passionate about discussing. And you can also make sure that the title of of your show makes it searchable for relevant keywords that iTunes users in your target audience might use.